Guess How Much I Love You – What’s the Story? 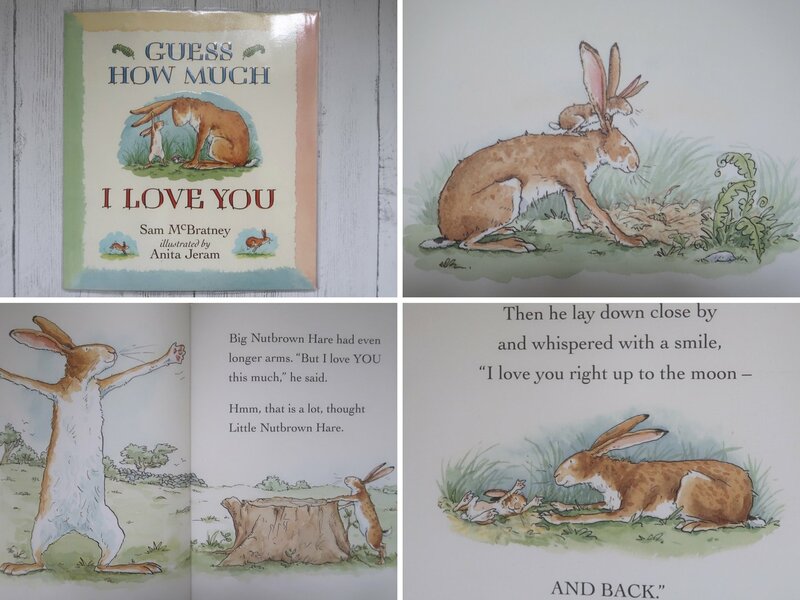 Guess How Much I Love You is about a sweet story of Little Nutbrown Hare and Big Nutbrown Hare, who compete to express their love for each other. It’s a simple, heartwarming story with beautiful, traditional, calm illustrations. 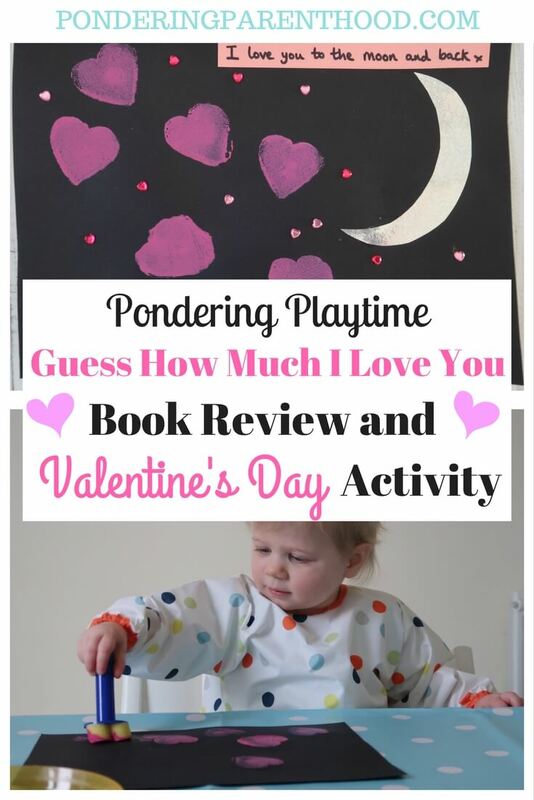 As this is a book about love, I thought it would be ideal to link to a Valentine’s Day craft activity. I can’t take credit for the idea, though, as I stumbled across it at Things to Share and Remember. I thought it was so cute and clever, I wanted to try it myself and share it with you. We started with a plain piece of black card. 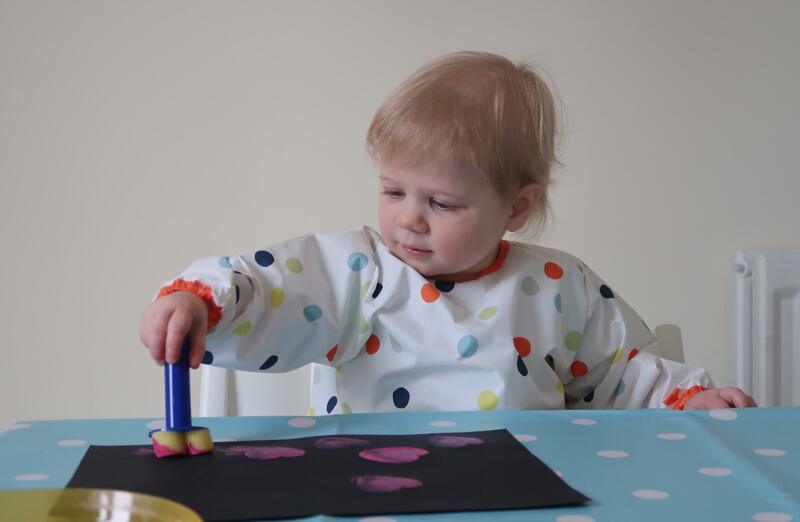 M used a rather funky heart-shaped foam stamper with a handle (with a bit of help from mummy!) to print pink hearts onto the paper. Once the paint had dried, she stuck some sparkly heart stickers around (and on!) the printed hearts to make sparkly heart stars. At 19 months, M is a bit young to cut out the moon shape and do the writing, so I did that for her. 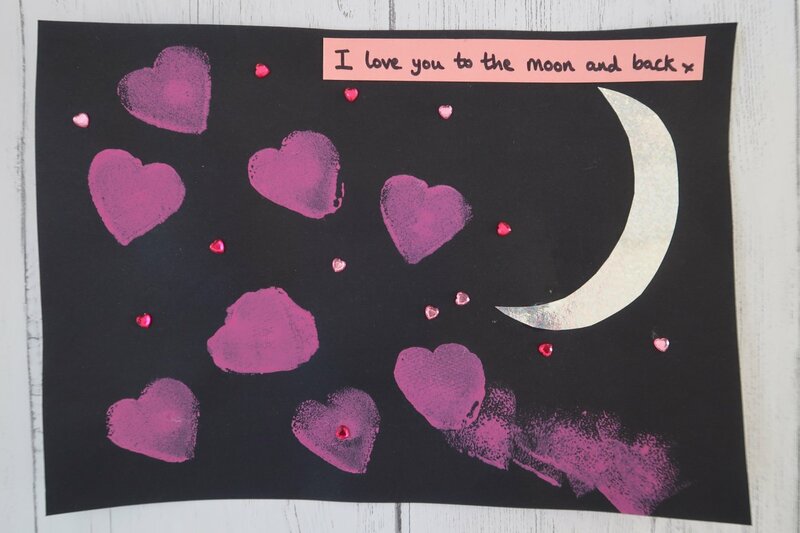 The message reads, ‘I love you to the moon and back’ – an adaptation of the last line of the book. At 19 months, I think M is maybe a little bit young to fully appreciate this book, but she does enjoy looking at the pictures and we do regularly read it to the end, but it’s not one that she picks up and asks me to read to her. I think it’s the sort of book that she’ll come to love as she grows older. 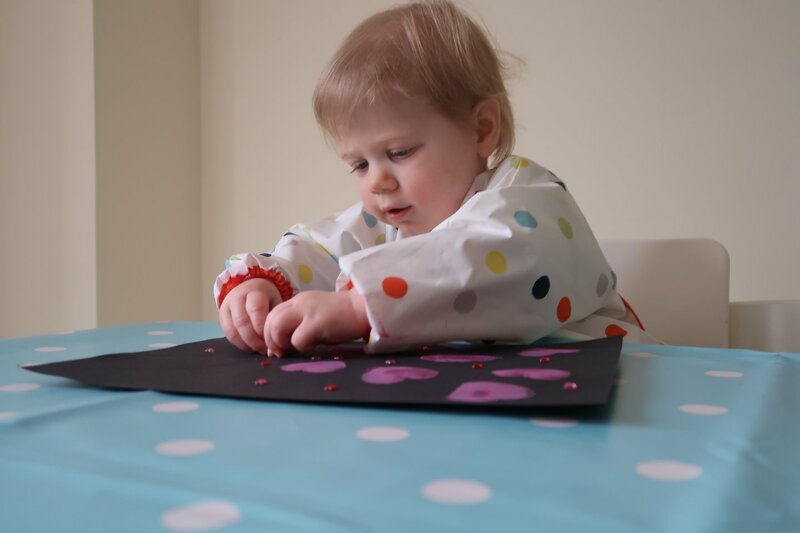 As for the activity, M absolutely loved printing with the paint and was fascinated by the sparkly heart stickers. In retrospect, I’d have chosen to use bigger stickers than the ones we used, as they were a bit too small for M’s little fingers and she needed a bit of my help to turn them over and stick them to the page, rather than her fingers! 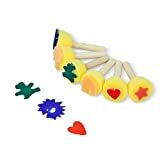 Overall, M enjoyed the activity and I think it’s made a sweet Valentine’s Day craft that looks really effective. Perfect to gift to a loved one this Valentine’s! "Making Space – Having the Loft Boarded Out"